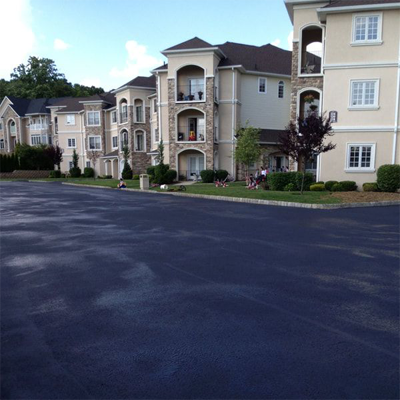 There are many benefits to sealcoating your asphalt driveway or parking lot. Think of sealcoating as a preventative maintenance, and it makes your pavement last longer! Sealcoating acts as a waterproofing agent, and prevents water from entering the asphalt. Sealcoating asphalt prevents the seepage of water and moisture from rain and snow, thus preventing damage from freeze thaw cycles which is a common reason why your driveway or parking lot begins to crack. Sealcoating seals the asphalt pavement, preventing the oxidation and erosion of the top layer and replaces fine particles lost from the asphalt surface due to oxidation on older pavements. It also resists gas, diesel fuel, oil, salt and chemical penetration which generally breaks down the asphalt. The reason to repair and keep your asphalt driveway in good condition is simply to keep the water from penetrating the cracks, which will eventually find it's way under the pavement, then freeze, forcing up the pavement and then creating soft spots that turn into pot holes. Another reason to fill the cracks in your asphalt is because vegetation will begin growing in them. As the roots on vegetation get bigger, the plant roots can actually push the pavement up and create even more damage. 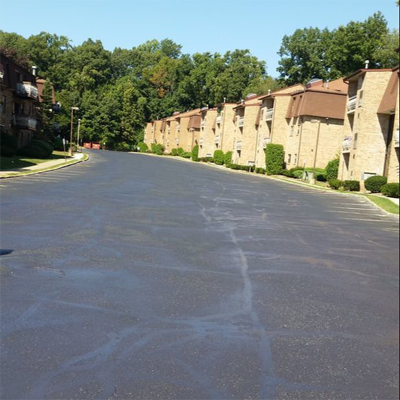 If you're considering sealcoating your asphalt as well, filling asphalt cracks first is always a better option. Sealcoating is not designed to be an asphalt crack filler, it is made for sealing the surface and protecting it from the elements. The condition of your parking lot is the first impression your guest has of your property. A clean, well marked, and properly maintained parking surface can be a bigger than life "Welcome" mat. 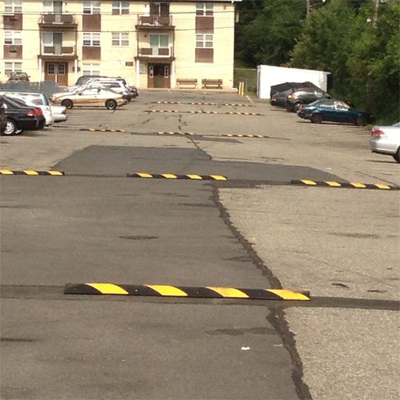 Properly striping a parking lot is a proven way to improve safety and efficiency for customers, tenants and employees. 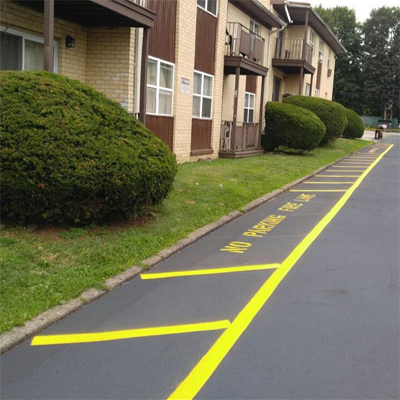 Professional line striping services are ideal for new projects as well as repaving and pavement sealcoating projects. The way a parking lot is striped has enormous influence on the traffic flow, pedestrian safety and general efficiency of a commercial business or residential complex. We use Sherwin-Williams durable high visibility traffic paint, applied with a commercial sprayer, and we design any pattern, layout, or design you may want. If you are interested in the most durable material for your driveway, your first consideration should be Belgian Block, also known as Cobblestone Pavers. In fact, not only are cobblestone paver driveways more durable, they create a unique and appealing look for your driveway, which can really add charm and value to a property. Formerly in widespread use, particularly on steeper streets because they provided horses' hooves with better grip than a smooth surface, they are now encountered rather as decorative stone paving in landscape architecture. 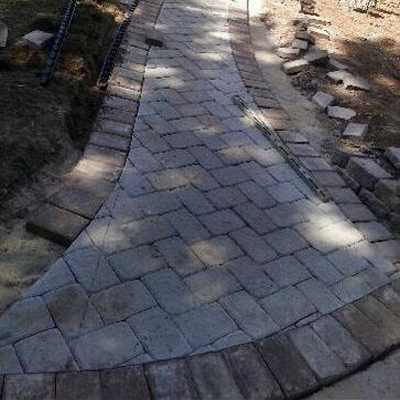 Belgian Block and Pavers can be installed for driveways, walkways, and patios.